Mt. 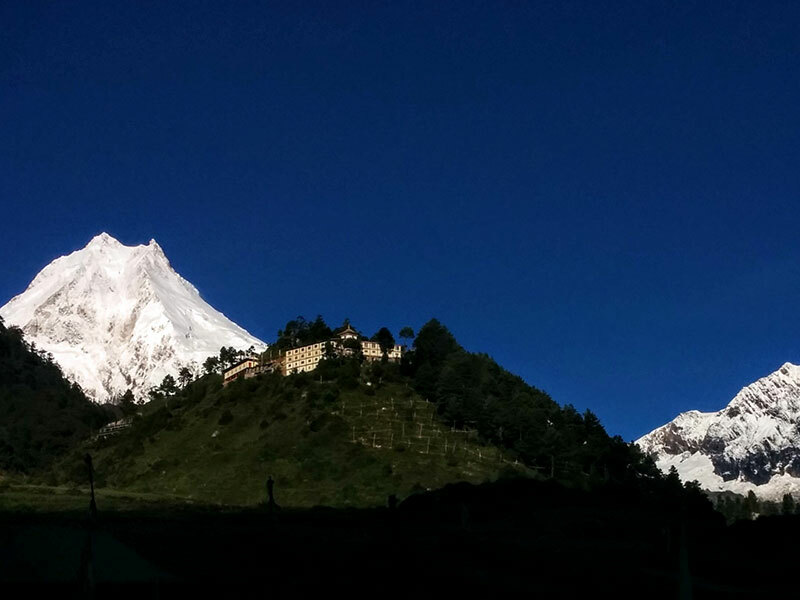 Manaslu that lies at the elevation of 8156M and world’s eighth highest mountains was first climbed by the Japanese Expedition team in 1956. Manaslu Sanctuary is a 11 days program that we have developed very recently keeping in mind to those people who have very short holiday period and also for the family and elderly groups. Despite the time constraint, this trek offers 360° view of the high snow capped mountains from the Manaslu Base Camp (BC), crosses through beautiful villages and colorful rhododendron forest (in Spring). However, this BC is not the regular one that meets on the classic Manaslu Round trek, this is the BC of the North-West face of the Manaslu. Another highlight of this trip is the Pungkar lake in Bhimthang, beautiful village at the lap of Manaslu. 360° view of the high snow capped mountains. Beautiful villages, experience local culture, colorful rhododendron forest and turquoise color lake - Pungkar Lake. An early morning breakfast and we head towards Tal through the paved road from Kathmandu until Besi Sahar. At Besi Sahar, we change the vehicle and continue off road drive to Tal village, where we spend an overnight. 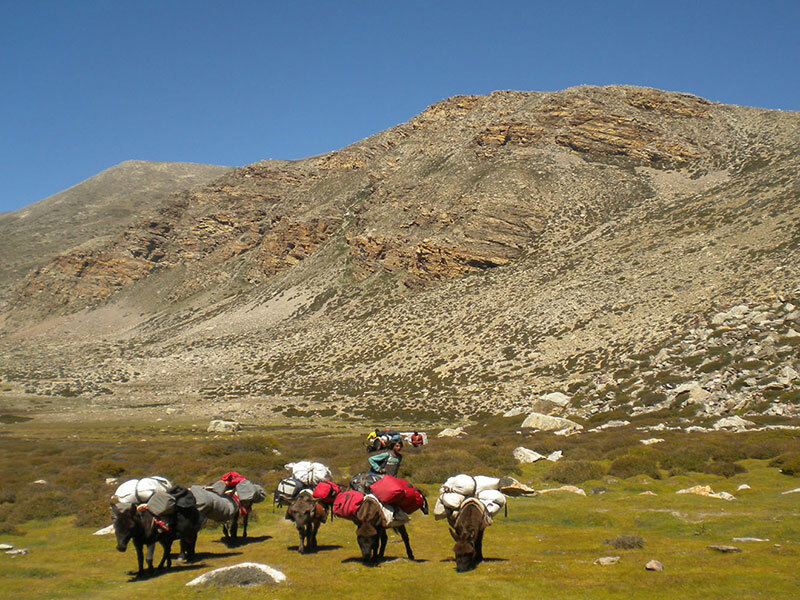 We will walk along the Marshyangdi river, reach Khotro village (1842m) after 2 hours walk. From here, we start ascending on concrete stairs to arrive the beautiful village of Nache (2200m). Nache is a Gurung village with around 40 household. People here grow potatoes, wheat and barley. After Nache, we cross suspension bridge (130m long), cross pine forest to meet the main road. We continue walking for another 15 minutes from the main road and cross another small suspension bridge to arrive at Tilje. Today, we start our trek after leisurely breakfast. The first village on the way to Yak Kharka is Gowa, a Gurung village. We take some time to enjoy the beauty of this beautiful village. We will spend one night in Gowa on our way back. We continue our walk and stop at Suti Khola for the lunch. After lunch, we cross a small bridge and walk for another 3 hours to reach Yak Kharka. There is only one lodge in Yak Kharka, situated at the heart of the rhododendron forest. We walk on the trail that passes through the forest of pine, rhododendron and other trees. After one hour walk we leave the trail that goes to Bhimthang and head towards the direction of the river. After crossing this river, we climb progressively along the Purdi river for another 2 hours to reach the Manaslu BC. We will have pack lunch here, enjoying the 360° view of the mountains like Phungi Himal (6538m), Peak 29 (7871m), Manaslu North-West face and other mountains. We return back to Yak Kharka for overnight stay. Today, we follow the same trail as yesterday but continue towards Bhimthang. Like yesterday, the trail passes through the dense forest of rhododendron. During the spring season, the forest is very vibrant and colorful. Bhimthang is a small beautiful village with very few households including the lodges at the lap of Manaslu. From Bhimthang, you have a very good view of the mountains like Lamjung, Manaslu (North East Face), Phungi Himal (South Face), Himlung (North West Face), Cheo Himal and other mountains. Afternoon, we explore the nearby areas of this beautiful village. We will spend two nights here. After having leisurely breakfast, we set out for a day hike to this beautiful lake, Pungkar Lake which is situated at an altitude of 3965m. We follow the trail that ascends and heads towards the Larkya La pass. After one hour walk, we will reach to a point where there is a metal board showing the direction of the lake, we follow this trail. We will walk through the glaciers to reach our final destination, lake. After taking pictures of the lake and its surroundings, we head back to Bhimthang. We will follow the exact same trail we came before 2 days through the dense forest of rhododendrons. We reach Gowa at the lunch time. Afternoon is free to explore this beautiful village. Again, we follow the same trail we took in the beginning to descend down to Tal. Today, we wake up early morning and take a jeep ride to Besi Sahar. From here, we will change the vehicle and head towards Kathmandu. Lunch will be served in one of the local restaurants along the highway road. 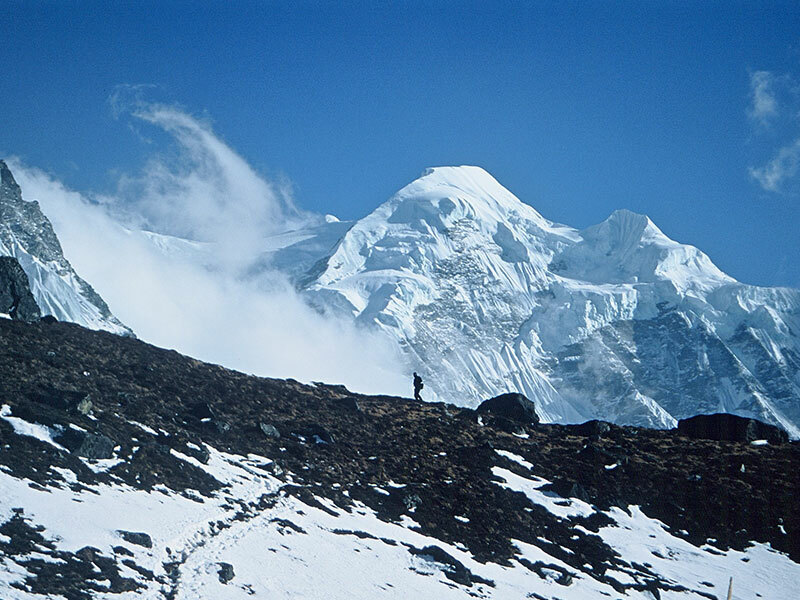 This tour spends three nights in a hotel in Kathmandu and nineteen nights on the trek in lodges (tea houses). On the trek we will stay in tea houses for the most part. The tea houses are basic but adequate; please be realistic about what to expect in the mountains.